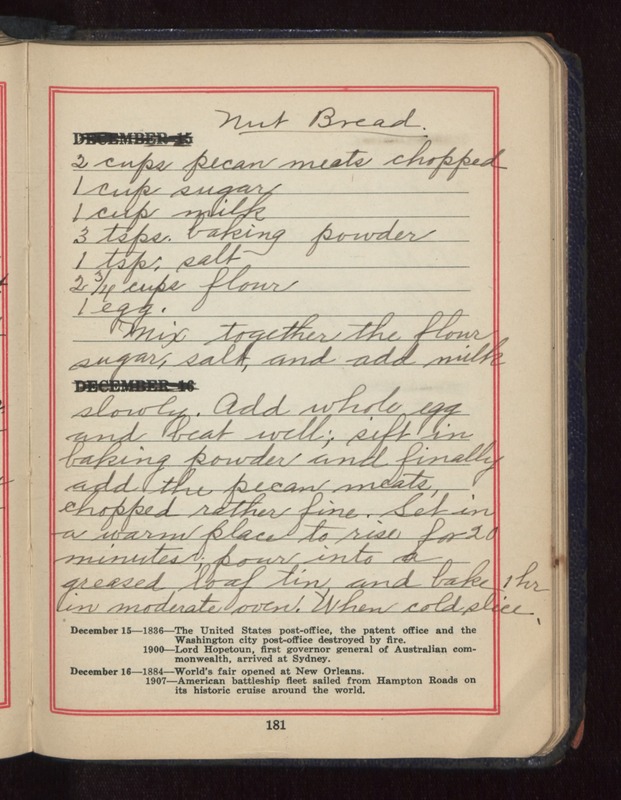 Nut Bread 2 cups pecan meats chopped 1 cup sugar 1 cup milk 3 tsps baking powder 1 tsp. salt 2 3/4 cups flour 1 egg Mix together the flour, sugar, salt and add milk slowly. Add whole egg and beat well; sift in baking powder and finally add the pecan meats, chopped rather fine. Set in a warm place to rise for 20 minutes. Pour into a greased loaf tin and bake 1 hr in moderate oven. When cold slice.